If we want to cut our use of energy in the developed economies to one quarter of today’s levels, can we do it by using the energy more efficiently? It’s possible to make a very satisfying theoretical answer to this question, by comparing the power delivered by the motors, engines, burners and other devices that convert the final forms of energy into useful heat and work, with the maximum power that could ever be extracted from the original fossil fuels. This maximum can be calculated from the energy stored in the chemical bonds of the fuels, compared to the energy that would be stored if all the atoms within them are separately. We diligently performed this calculation for the world’s energy system, and the resulting figure apparently shows that the world’s energy efficiency is just 9%: 91% of the energy stored in the fossil fuels isn’t used as intended, and instead heats up the air (this is not the same as global warming – more like rubbing your hands together on a cold day). However, although this is theoretically satisfying, it is of little practical use because it doesn’t tell us how much we could in practice improve. For example, to be perfectly efficient in converting coal to useful work, we would need a technology that operated at room temperature, without burning the coal – and we don’t know how to do this. "Electric motors are all pretty efficient at converting electricity to mechanical work, although the efficiency improves as they become larger – because the relative losses due to friction or inertia are proportionately lower." So instead, we can make a more useful estimate of efficiency by looking at the performance of some real devices. 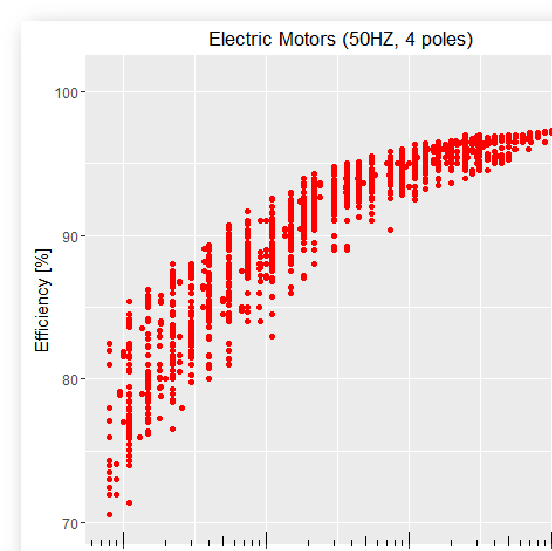 Electric motors are all pretty efficient at converting electricity to mechanical work, although the efficiency improves as they become larger – because the relative losses due to friction or inertia are proportionately lower. In contrast, water heaters all have about the same efficiency regardless of size, because the losses don’t increase as the heaters become larger. Both of these devices are around about 90% efficient, which suggests that we have little chance to improve them, and really this isn’t surprising. The companies that make electric motors or water heaters operate in a competitive market, so already have all the motivation they need to be as efficient as possible – in order to be better than their competitors. There’s little scope for further “invisible” energy efficiency to have a big effect in reducing global emissions. In contrast, the data for the efficiency of a petrol engine is more revealing. 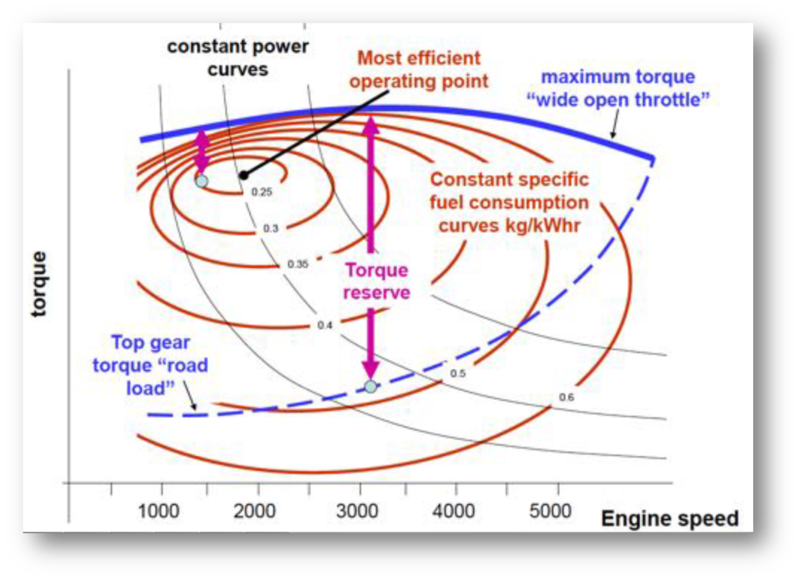 Petrol (and diesel) engines have a particular “sweet spot” at which they are most efficient. At one speed and under one given load, they deliver their best performance, and the massive slow rotating diesel engines in large ships operate at this sweet point. However, unfortunately, most new cars are purchased by men. 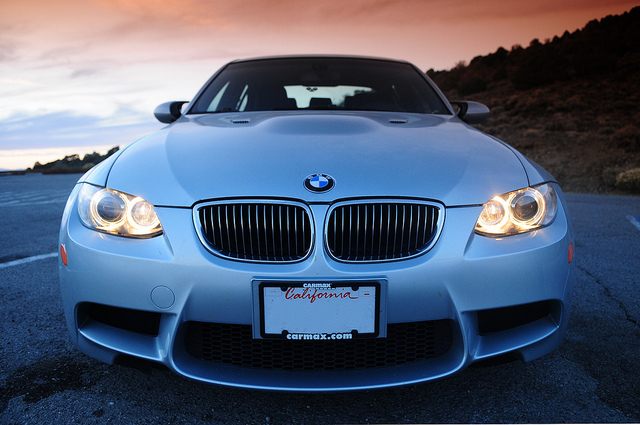 Men are generally insecure and believe (quite wrongly) that they will be more attractive to women if they have large cars that can accelerate impressively, even when they are already travelling at the national speed limit. Therefore cars operate far from the efficient sweet spot. The outcome of this is that the devices which convert final forms of energy to useful work are already optimised to be very close to their ultimate efficiency. But the equipment in which the devices operate is not designed to be efficient, but to deliver the services that people most want to purchase. And although we could deliver those services much more efficiently, we can’t do so without the user noticing. "A last consequence of the efficiency of energy conversion devices is that “electrification” of devices that are currently powered directly by fossil fuels has relatively little benefit"
A last consequence of the efficiency of energy conversion devices is that “electrification” of devices that are currently powered directly by fossil fuels has relatively little benefit. Most vehicles and most space and water heating are powered directly by petrol, diesel or gas, and it’s possible to create alternative designs powered by electricity. Two common examples of this substitution are the use of heat pumps for heating space, and battery powered cars. However, these approaches do not significantly reduce energy required, and because most of our electricity is supplied from fossil fuels, it has little effect on emissions. If in future we had excess low-carbon electricity, this would of course be a great idea – but as the previous section has shown, even replacing today’s electricity supply with low carbon sources is an unachievable goal. Electrifying cars and heaters makes this challenge even harder. For example, the European Union estimates that the introduction of electric cars alone will lead to an increase of around 10% in European electricity demand by 2050 (source).